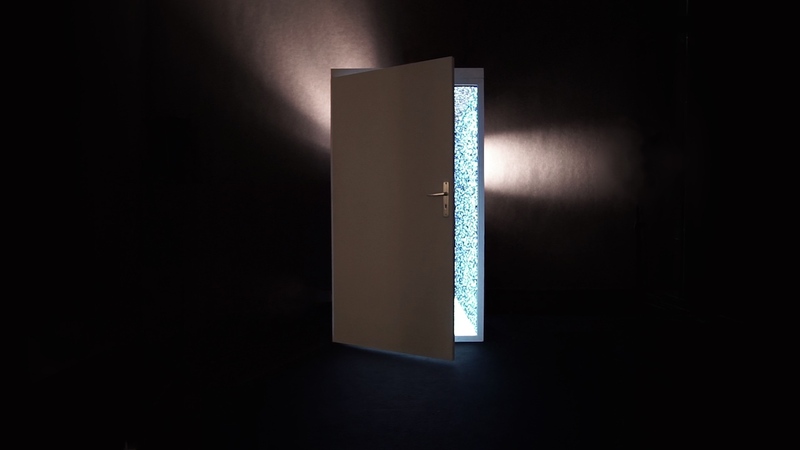 Doors have always been a strong symbol across every culture. 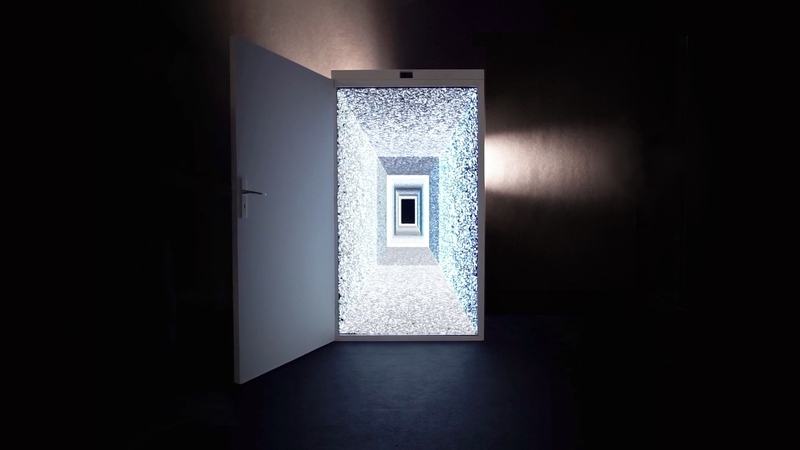 In this installation, it still represents Terra incognita, a portal to an unexpected frightening or marvellous world. 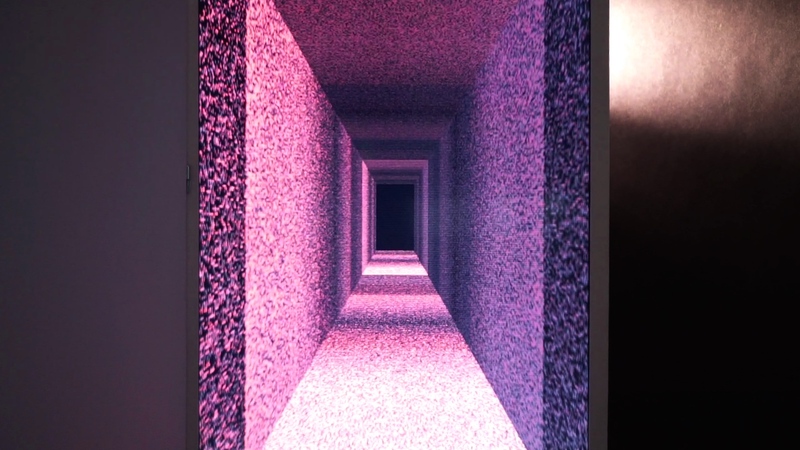 But more than that, we have a real world, and we have a virtual world, but how do we connect the two with an experience more elegant than putting on a big old VR headset ? 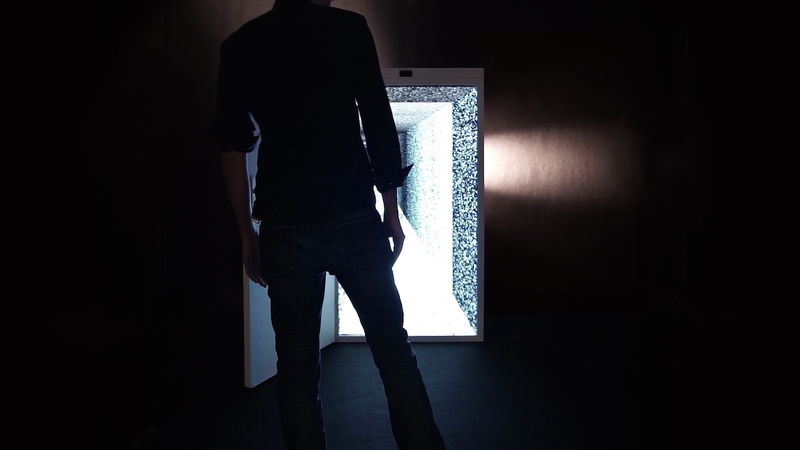 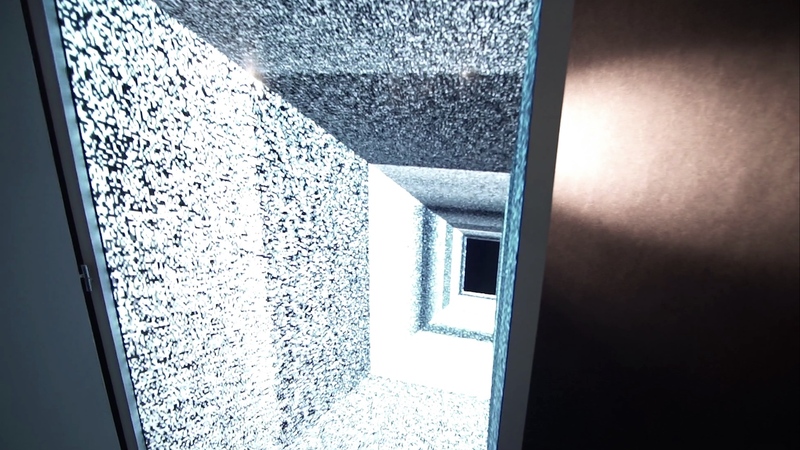 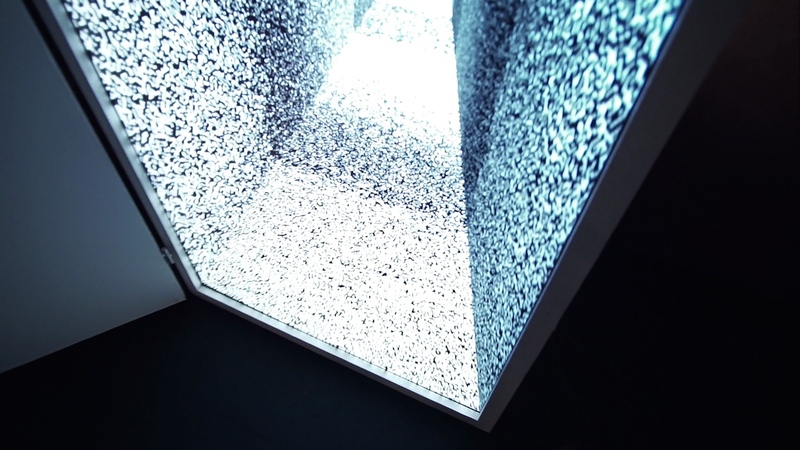 The installation DOORS offers an immersive and interactive experience between reality and virtuality. 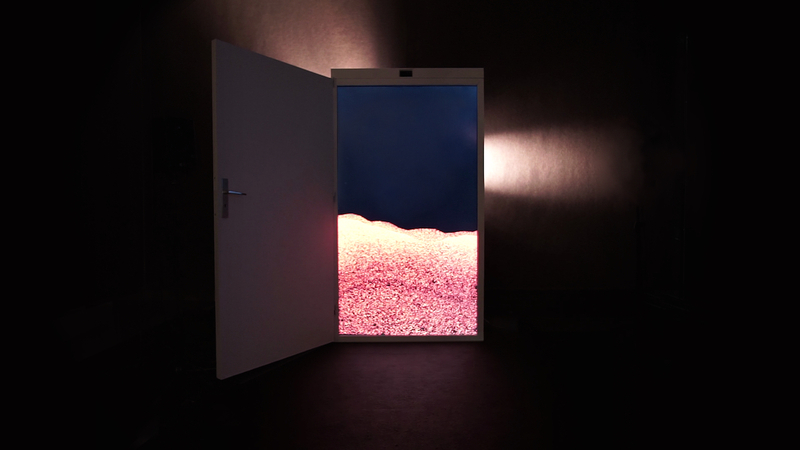 By constantly computing and adapting to a person view, DOORS displays virtual landscapes with a correct user perspective. 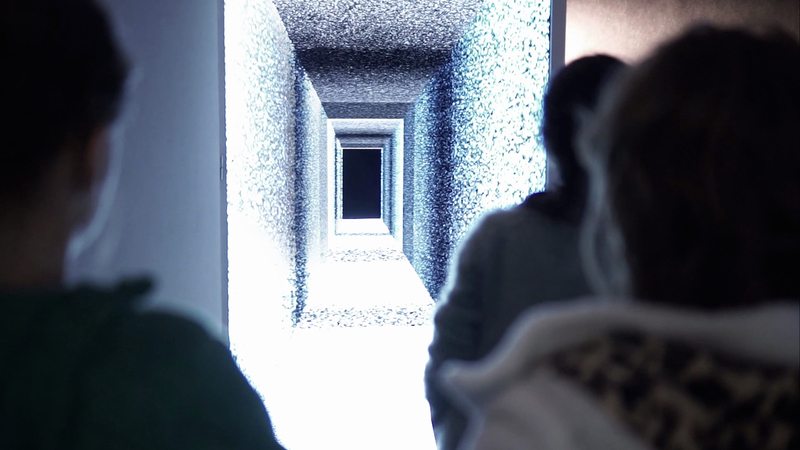 People can then freely move in space and explore mysterious minimalistic and audioreactive worlds.